Irish-produced feature ‘Young Ones’ has begun principal photography in South Africa, marking one of the first co-productions between Ireland and South Africa since the co-production treaty was signed last May. 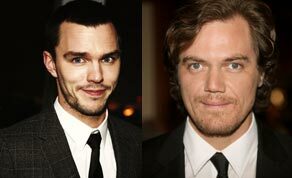 The Subotica-produced project, which stars Nicholas Hoult and Michael Shannon, is set in a violent near future where water is fast becoming scarce, resulting in it being the most precious resource on the planet. A 14 year-old boy, played by Australian actor Kodi Smit-McPhee (Let Me In), is forced to use his wits to survive and protect his family in the new world. Principal photography began in South Africa at the start of the month, with ‘Super 8’ actress Elle Fanning co-starring alongside ‘Warm Bodies’ actor Hoult, ‘Boardwalk Empire’ actor Shannon, and young actor Smit-McPhee. Tristan Orpen Lynch is producing for Dublin-based Subotica, with Michael Auret for South Africa’s Spier Films. In May 2012, a co-production treaty between Ireland and South Africa was signed during the Cannes Film Festival, in a bid to forge closer links with each other’s film industries. The deal enables both film and television productions from both countries to qualify for joint access to local tax incentives, national film funding and broadcaster and regional subsidies. In recent years, there have been a number of Irish-South African co-productions, including John Boorman’s ‘Country of My Skull’ (2004) and Treasure Entertainment’s ‘Man About Dog’ (2012). ‘Young Ones’ marks one of the first projects to begin production since the treaty was signed last year. Filming on ‘Young Ones’ in ongoing until March 15, when Windmill Lane in Dublin will begin post-production. Subotica, the production company behind IFTA-winning films ‘Song for a Raggy Boy’ and ‘Small Engine Repair’, as well as IFTA-nominated ‘Damage’, is currently in production on another feature, ‘Gold’, starring David Wilmot, James Nesbitt and Maisie Williams. ‘Gold’ is expected to wrap in Dublin on March 5.